On Saturday 15th June 2019 (the day before Father's Day) join us for our 11th annual Pendle Pub Walk around the stunning Pendle countryside using its finest hostelries as way-points! The walk, which is organised by Pendleside Hospice and members of Burnley Pendleside Rotary Club, raises money for the Reedley-based hospice, with £5 of each registration fee going to Rotary Club charities. 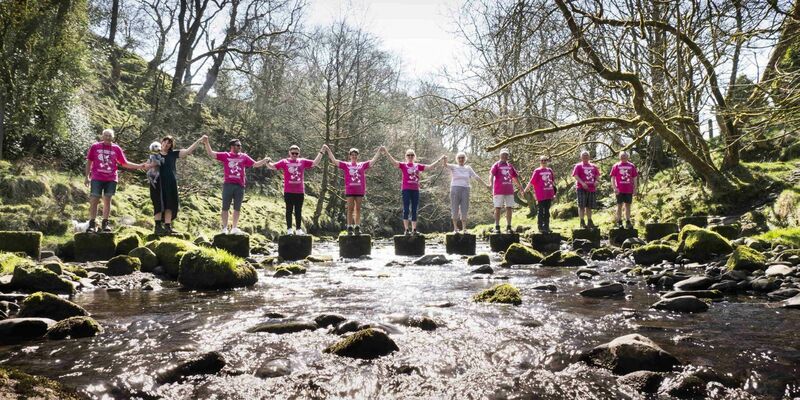 This year it is expected that around 2,000 walkers will take part in the 10 mile walk (approx), which is made up of a combination of countryside and road-walking, providing epic views of the Pendle area. Once again, it is going to have two starting points, so walkers (and their dogs!) can choose to set off from the Village Hall in Barley, with The Pendle Inn as the first pub en-route, or from The Sparrowhawk in Fence. Walkers are asked to start from their chosen point between 10am-12 noon - if between registering and the event you change your mind about where you would like to start contact Fundraising on 01282 440120 to inform us. The walk is a circular route through some of Pendle’s most scenic countryside including Fence, Barley, Roughlee, Blacko, Higherford and Barrowford - official pubs TBC. Registration is £20 for adults and £10 for children. As this event is organised to raise much needed funds for Pendleside Hospice we ask that all participants gain sponsorship or make a minimum donation of £30 at the time of registering (for guidance: £20 registration, plus £30 minimum donation). On the day registrations will increase as it is assumed walkers will not be collecting sponsorship money, therefore will include a donation. Pre-registrations will close at 10am on Tuesday 11th June. IF YOU ARE REGISTERING A GROUP OF WALKERS ENSURE YOU REGISTER EACH PERSON USING THEIR INDIVIDUAL DETAILS (EG ADDRESS, CONTACT NUMEBER) OTHERWISE YOUR REGISTRATIONS WILL NOT BE PROCESSED. If you are walking as part of an organised group please put your group name here. If you know anyone who could help us on the walk with marshalling, stewarding, registration or refreshments, please email their name/address/phone number details to fundraising@pendleside.org.uk. We will contact them a few weeks before the Walk. Anyone registered who is 17 years of age or younger on the day of the walk must be accompanied by an adult (18 or over) who is also registered on the walk and an indemnity form, confirming that the adult is responsible for them must be signed on the day. Children (17 years or younger) may accompany adults registered on the walk free of charge but the walk organisers hold no responsibility for these accompanied children. If the children are clearly present when the adults are registering on the day of the walk then we may wish to take the names and ages of the children for information and safety purposes. Register and raise sponsorship. You will be expected to raise sponsorship in aid of Pendleside Hospice and will be sent a fundraising pack which includes sponsor forms, poster, t-shirt voucher and event information. Prior to the event you will be asked how much you have raised and expected to hand it in within 6 weeks of the event taking place. Register with a donation in lieu of sponsorship. (For guidance: £20 registration fee and £30 minimum donation per person). You will not be expected to raise any sponsorship and therefore will not be sent a fundraising pack. You will receive a t-shirt voucher and event information prior to the event. Gift Aid is reclaimed by the charity from the tax you pay for the current tax year. Your address is needed to identify you as a current UK taxpayer. In order to Gift Aid your donation you must tick the box below. I want to Gift Aid this donation and any I make in the future or have made in the past 4 years to Pendleside Hospice. Want to cancel this declaration, want to change your name or home address or no longer pay sufficient tax on your Income and/or Capital Gains. I confirm that I have read and accept the terms and conditions of entry to this event.